Saint-Egrève, France, January 2017 — Vi TECHNOLOGY, a leading provider of inspection solutions for PCB assembly, will exhibit in Booth #501 at the 2017 IPC APEX EXPO, scheduled to take place Feb. 14-16, 2017 at the San Diego Convention Center in Calif. Vi TECHNOLOGY will show the 5K3D (3D AOI) and the 2K SPECTRO, coupled with PI series (3D SPI) and SIGMA Link, resulting in a complete 3D inspection solution. The new 5K3D is a full 3D AOI based on laser technology with angled cameras combined with the 2D Spectro optical solution. It provides indifferently 3D or 2D images of the components and always identifies the best images to work with. This new patented 3D AOI combination offers complete defect coverage with high precision metrology. Vi TECHNOLOGY also will showcase two of its award-winning PI series 3D SPI systems. The PI Series has been recognized by the industry as the most innovative SPI product since the introduction of Moiré systems. With 360° Moiré technology, the PI Series offers a unique extra-large 3D image for unprecedented review interface and outstanding accuracy. PI is the only inspection system to program automatically. 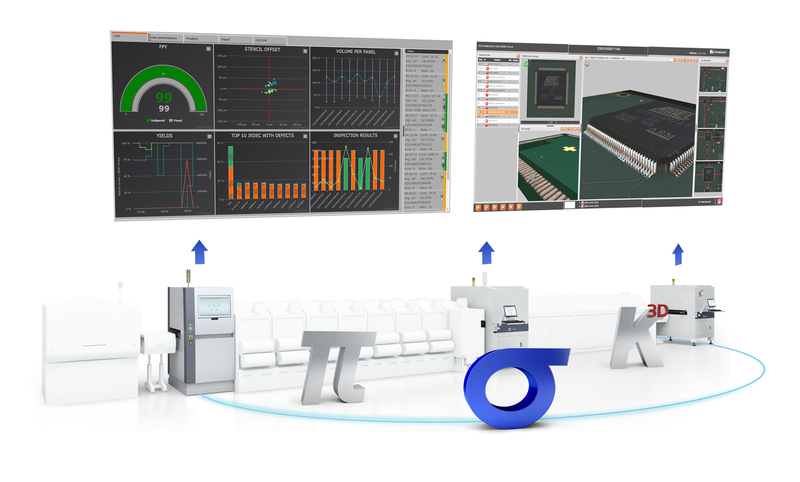 For Smart Factories, SIGMA Link is the essential element to combine all inspection data and transform them into valuable information for the users. This real-time interface ensures full traceability and enables interlocking of machines to automate SMT lines while driving yields to new levels, especially important for the automotive, aerospace and defense sectors.